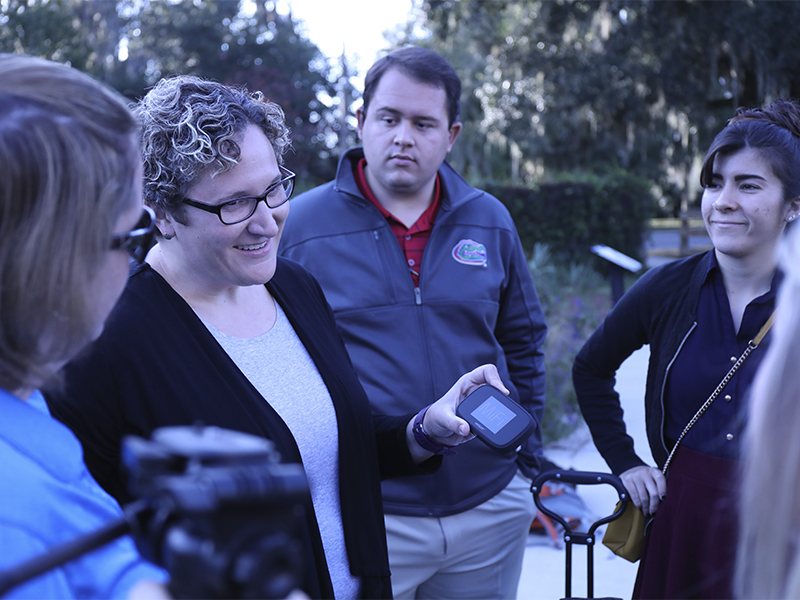 GAINESVILLE, Fla. – For Jamie Loizzo, assistant professor in the UF/IFAS department of agricultural education and communication, learning is not confined to the students in her own classroom. This fall, Loizzo’s graduate-level communication and instructional technologies course through the UF/IFAS College of Agricultural and Life Sciences (CALS) is producing an electronic field trip that brings University of Florida science research to middle and high school students as well as after-school programs. The field trip, titled “Bats and Beyond!”, will be live-streamed on Nov. 15 at 2 p.m. and again at 4 p.m. EST. This electronic field trip will be live web-broadcasted through Streaming Science, a collaborative effort between the University of Florida’s Institute of Food and Agricultural Sciences (IFAS) and the University of Nebraska-Lincoln. Professor Jamie Loizzo demonstrates how to use the equipment the class will use during the live-steam video production. To date, there are more than 1,400 students registered for the electronic field trip in more than 60 different school classrooms and after-school programs across Florida, Alabama, Oklahoma, Louisiana and Maine. The live-stream video can be watched at this link. Throughout the fall semester, Loizzo and her graduate students have partnered with the Florida Museum of Natural History for research content. The upcoming field trip will focus on the bat houses found on the university campus and the bat research being conducted. 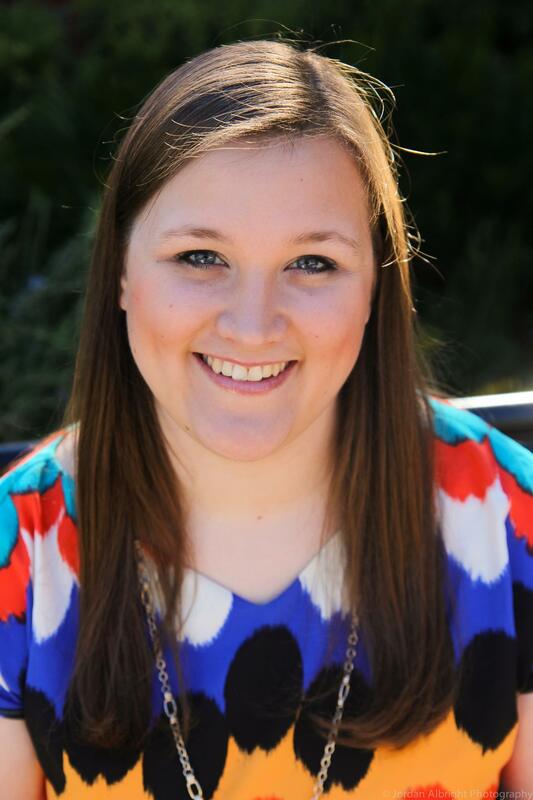 The graduate students have been spearheading the production of the electronic field trip. This includes recruiting participants, photo and video editing, directing, mobile web-streaming and assessing participants’ learning and engagement. Like Vance, other students in the class serve in roles such as show hosts, field directors and camera operators, among other positions. The entire show will be recorded with iPads. While they learn to navigate the ins and outs of live video production, the graduate students have also been learning about the bat research that happens at the University of Florida. “Bats and Beyond!” will feature segments with interviews from the Florida Museum of Natural History’s David Reed, curator of mammals; Verity Mathis, collection manager of mammalogy; and Lauren Hammer, a UF doctoral student. Throughout the field trip, students can expect to learn more about the history of bats, their impacts on the environment, and the research that UF scientists are doing with bats in the Bahamas.